We’ve installed glossy, high spec floors in a lot of Offices, Showroom, Stores, Laboratories, Restaurants, Bars, Nightclubs, Theaters and Hotels. All the special flooring products that we use are extremely durable, cost-effective and will provide a high-quality finish that will last for years. Today’s concrete floors come in a range of stains, colors, and textures. 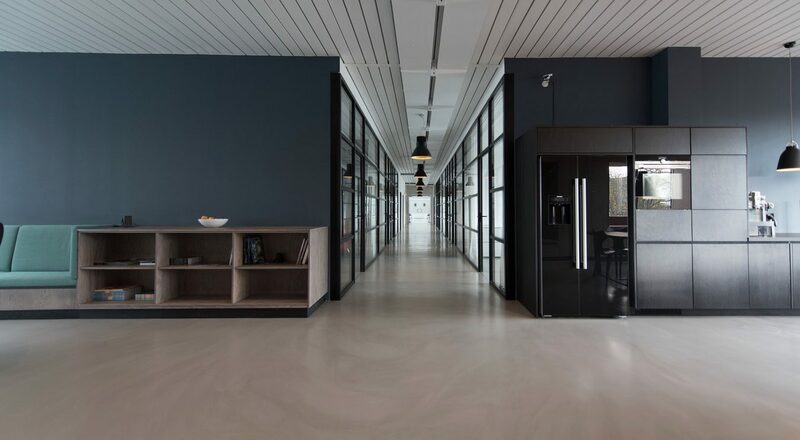 Thanks to these advances in technology, even a classic grey concrete floor will look stunning with the right surface preparation and finishing. Concrete floors are so easy to clean and they are also indestructible. There is no grout to get dirty and grimy like tile, you don’t have to be careful about getting it wet like wood, and it doesn’t trap in dirt and cup spillage like carpet. Concrete floors creates a shiny high-gloss surface that can significantly increase the brightness of interior areas that is durable and easy to clean, provides a chemically resistant surface ideal for manufacturing plants and also resists oil stains and water.